When Long Island City resident Alex Rosner, now 79, first crossed paths with wealthy German-Catholic businessman, Oskar Schindler in 1944, it was under horrific circumstances. The war in Europe was raging and it seemed as if the world was on fire. Rosner was 9 when he and his father, a renowned violinist, sought refuge at Schindler’s thriving enamelware factory in Krakow, Poland during the Holocaust. It had become a secret safe haven for Jews who worked there to avoid Nazi death camps. Back then, the boy had no inkling that just five years later, his family would be reunited – in Queens – with the man who would rescue them from the Nazis. 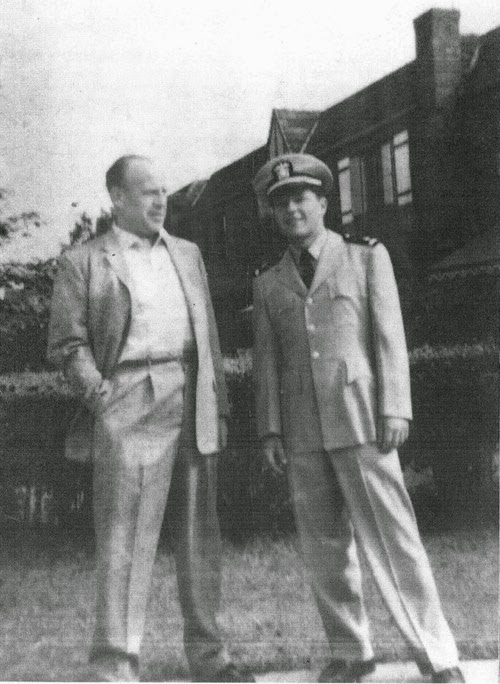 In a recent telephone interview with Rosner, an established Long Island City business owner of Rosner Custom Sound, he recalled how Schindler had traveled to New York many times in the 1950s, and would always stay with his family at their Middle Village home, where his parents, Henry and Marianne Rosner, would welcome their longtime friend. And, while he was away at college or in the Navy, Rosner said that Schindler would sleep in his bedroom. Between the ages of 14 and 24, Rosner would see the older gentleman schmoozing with his parents and at times, other survivors would come by to visit and take Schindler shopping for clothes. He pointed out that back then, many grateful families had been providing for their hero financially, until his death in 1974. During the Holocaust, Schindler had lost his vast fortune bartering with the Nazis for their lives. While on the phone discussing his connection to Schindler, Rosner talked at length about his beloved accordion. The story behind this special instrument is a fascinating one. The red accordion and Henry’s violin had literally become instruments of survival during the Holocaust, playing a crucial role early on by keeping father and son alive until Schindler could save them. Last summer, Rosner said he decided to donate the accordion to the Holocaust Memorial and Tolerance Center of Nassau County in Glen Cove, L.I., where it’s now on display through April 12 as part of the museum’s “Objects of Witness: Testimony from Holocaust Artifacts” exhibit honoring the 70th anniversary of the liberation of Auschwitz. The museum’s items span about 100 years and connect to countries across the globe – from China to Greece. Among the artifacts on display is a child’s shoe found at Auschwitz-Birkenau – another iconic image of the Holocaust. Rosner was just 5 when the war broke out. “We lived in Krakow, Poland and were rounded up and taken to the ghetto, where everyone lived under difficult circumstances,” Rosner said. In 1940, he and his parents had been forcibly removed from their home by Nazi soldiers, along with thousands of others, whose only crime was that they happened to be Jewish. Then the men were shipped first to Schindler’s factory in Krakow. “And after my father and I were there a few weeks, some German soldiers came around and said we couldn’t stay there because no children were allowed. So 11 boys and 11 fathers were shipped to Auschwitz. The women and girls, including my mother, hadn’t yet gotten to Schindler’s place,” Rosner said. But once there, she remained at the factory for the duration of the war, separated from her loved ones. “We were in Auschwitz for a relatively short time, while my father played for the German soldiers. One day, a female guard asked me if I played any instruments, and I said, ‘Yes, I play the accordion.’ So, she returned in about an hour later with a red accordion and gave it to me,” Rosner said. Rosner survived because he played his accordion for the camp’s guards. On April 29, 1945, American forces of the Seventh Army liberated 60,000 prisoners from Dachau Concentration Camp, including Rosner and his father. The boy took his red accordion with him aboard the ship that brought his family to New York City in May 1946. And throughout his life, Rosner’s accordion would accompany him wherever he resided, until it ended up in the basement of his Long Island City home decades later. Schindler stayed in touch with the Rosners throughout his life. Rosner did not speak about the Holocaust until after the movie came out in 1993. Then he started speaking publicly to students all over the country about the film, the Holocaust and bigotry. And still does. Rosner and his entire family, together with the actors who played them, appeared in the epilogue scenes at Schindler’s grave. Rosner said his children learned of the past mostly from his parents. He will be speaking to students at his granddaughter’s Massachusetts high school in April.